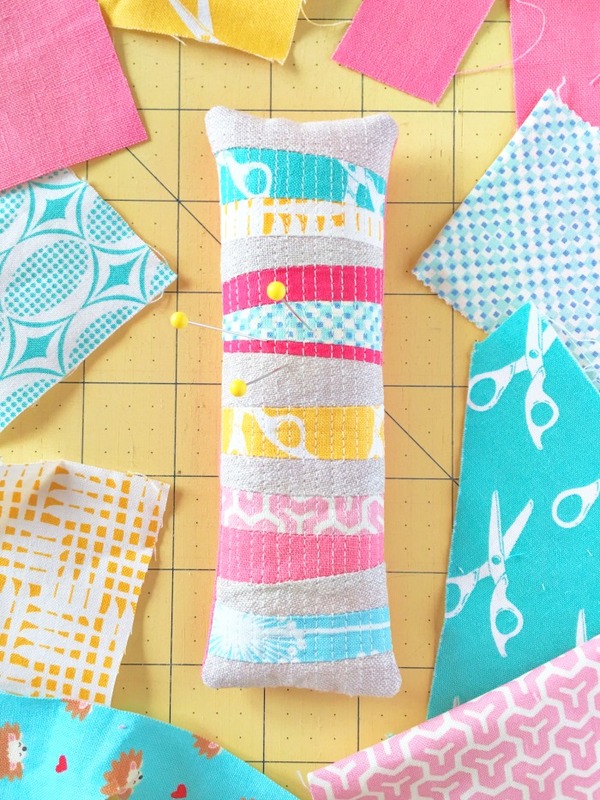 Sometimes you just need a feel-good sewing project, like these two scrappy pincushions! 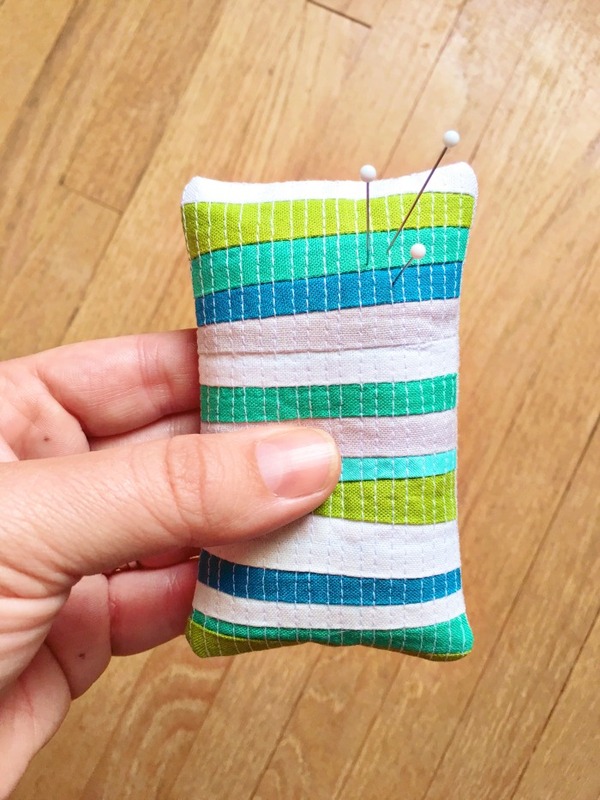 Amanda Jean from Crazy Mom Quilts had a month long pincushion challenge this past summer and I was instantly inspired. For these scrappy pincushions no fabric scrap was too small. I first pieced the scraps together and then layered with batting and quilted with Aurifil thread. 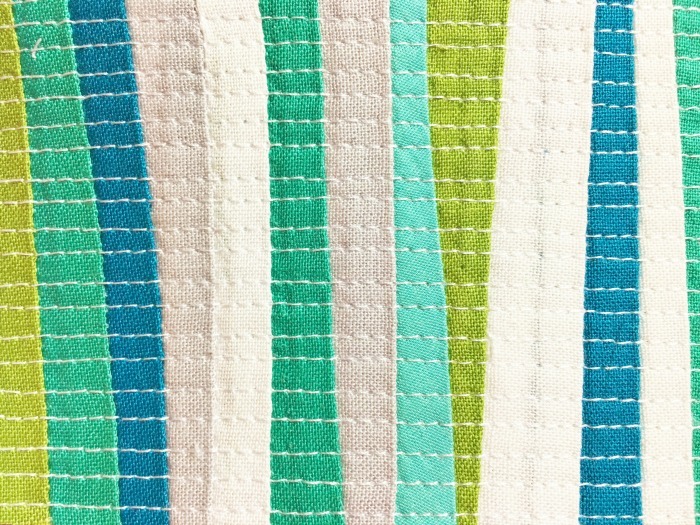 The texture created from these 1/8th" quilting lines is my favorite! Want in on a little secret? I love to fill my pincushions with crushed walnut shells, which happens to be the same thing as lizard litter from the pet store. You can find a big bag for just a few dollars -- score! These are adorable! I love those little lines, too. Such a cool idea! Very cool! I want to make a few of these as gifts!